MUSIC LEGEND CHER is coming back to Ireland next year for her first gig here in 15 years. The news was announced the the 3 Arena, where she will play on 1 November 2019 as part of her Here We Go Again world tour. 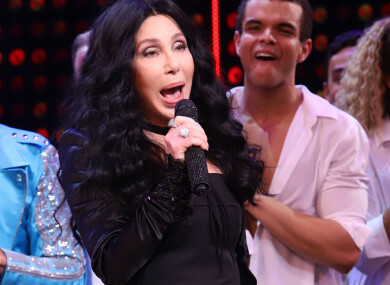 Cher recently released an Abba covers album, with all of the group’s classics. But it will be her own back catalogue that will draw the fans in next year. The ‘Goddess of Pop’ has sold 100 million records worldwide. Email “Cher to return to Dublin for first Irish gig in 15 years”. 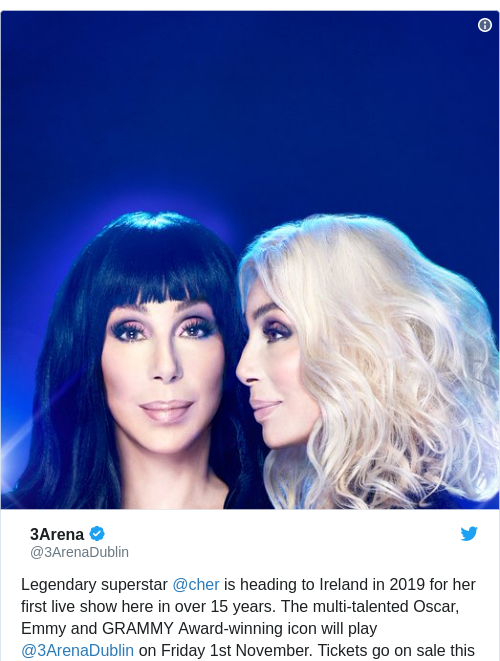 Feedback on “Cher to return to Dublin for first Irish gig in 15 years”.